Individuals of all economic strata are shedding their jobs, hometowns, and lifestyle to embrace a wider experience and a more meaningful existence. Gwyneth Paltrow, born September 27th, 1972 in Los Angeles, California is an American actress and singer. Her acting debut occured on stage in 1990 and then she started appearing in films the following year in 1991. After appearing in several films throughout the decade of the 90s, Paltrow soon got noticed for her work in films such as Seven in 1995 and in the film Emma in 1996, in which she was cast in the title role. Following the films Sliding Doors released in 1998 and A Perfect Murder also released in 1998, she recieved worldwide recognition for her performance in Shakespeare in Love in 1998. It was this film for which she won an Academy Award for Best Actress, a Golden Globe Award and two Screen Actors Guild Awards, for Outstanding Lead Actress and as a member of the cast. She also won an Emmy Award for Outstanding Guest Actress in a Comedy Series in 2011 for her role as Holly Holliday on the Fox hit TV show Glee in the episode The Substitute. Ms. Paltrow has portrayed supporting as well as leading roles in films such as The Talented Mr. Ripley in 1999, The Royal Tenenbaums in 2001, Shallow Hal in 2001, and Proof in 2005, for which she recieved a Golden Globe nomination as Best Actress in Motion Picture Drama. Since 2008 she has portrayed Pepper Potts, the love interest of Iron Man in the Marvel Cinematic Universe, in the initial Iron Man in 2008, Iron Man 2 in 2010 and The Avengers in 2012. Because of her striking looks Paltrow has been the face of Estée Lauder's Pleasures perfume since 2005. Estée Lauder donates a minimum of $500,000 of sales of items from the 'Pleasures Gwyneth Paltrow' collection to breast cancer research. She is married to Chris Martin, the lead vocalist of Coldplay. They have two children together, Apple and Moses. She is also the face of American fashion brand Coach and owner of the lifestyle company Goop.com. She is the author of the cookbook My Father's Daughter: Delicious, Easy Recipes Celebrating Family & Togetherness. Paltrow was born into a celebrity family in Los Angeles, California. She is the daughter of actress Blythe Danner and the late film producer/director Bruce Paltrow. Her father was Jewish and of Belarusian Ashkenazi origin. Her mother is a Quaker of Pennsylvania Dutch descent and more distant white Barbadian ancestry. Paltrow's paternal great-great-grandfather, whose surname was Paltrowicz, was a rabbi in Nowogród, Poland. She has a younger brother, Jake Paltrow, and is a half-cousin of actress Katherine Moennig, as well as being a second cousin of former U.S. Congresswoman Gabrielle Giffords of Arizona. Gwyneth Paltrow was raised in Santa Monica, where she attended Crossroads School, before enrolling in The Spence School, a private girls' school located in New York City. Later on she briefly took anthropology classes at the University of California, Santa Barbara, before dropping out to pursue acting. She is an 'adopted daughter' of Talavera de la Reina in Spain, where at the age of 15 she spent a year as an exchange student and learned to speak Spanish. After spending several summers watching her mother perform at the Williamstown Theatre Festival in Massachusetts, Paltrow made her professional stage debut there in 1990. Her film debut followed with Shout in 1991, starring John Travolta. She was cast by Steven Spielberg in his film Hook in 1991 as the young Wendy Darling. Paltrow's next roles were in Cruel Doubt for television in 1992 and Deadly Relations in 1993. Her first plum supporting role in a big-screen film was in the drama Flesh and Bone in 1993, as the much-younger girlfriend of James Caan. In the hit thriller Seven in 1995, she played Brad Pitt's high school sweetheart and wife, even though she is nine years younger than him. Her performance earned her a Satellite Award nomination. Also in 1995, she appeared in Moonlight and Valentino and Jefferson in Paris. "Best of all is Gwyneth Paltrow, who, at long last, has a movie to star in that's as radiant as she is." "Gwyneth Paltrow, in her first great, fully realized starring performance, makes a heroine so breathtaking that she seems utterly plausible as the playwright's guiding light." The award-winning Shakespeare in Love earned Paltrow the award for Outstanding Performance by a Female Actor in a Leading Role from the Screen Actors Guild, the Golden Globe Award for Best Actress and the Academy Award for Best Actress, among other honors. Her Pink Ralph Lauren dress worn at the 71st Academy Awards in collecting her Oscar was extremely popular and was even credited for bringing pink back into fashion. In 1999, Paltrow co-starred alongside Jude Law, Matt Damon and Cate Blanchett in The Talented Mr. Ripley, which earned $80 million domestically and received positive reviews. She showcased her singing ability in the 2000 film Duets, which was directed by her father and co-starred singer Huey Lewis. The same year, Paltrow co-starred with Ben Affleck in the romantic drama Bounce as Abby Janello. In 2001, she played Margot Tenenbaum as part of an ensemble cast in the Wes Anderson film The Royal Tenenbaums and starred with Jack Black in the comedy Shallow Hal, where she had to wear a specially designed 25-pound fatsuit and heavy make-up. "Robert called me and he said, 'This is gonna be fun, and this is gonna be good.' And then he said to me, 'Don't you want to be in a movie that people see?' And I was like, 'Whoa! What would that feel like?' And he's right. Moviemaking is not supposed to be a masturbatory exercise; it's supposed to be shared by other people." In 2010, Paltrow reprised her role in the sequel to Iron Man, Iron Man 2. Later in 2010, she appeared in the musical Country Strong and recorded the song Country Strong for the film's soundtrack. The song was released to country radio in August 2010. At the 83rd Academy Awards, Paltrow performed another song from the movie, Coming Home, which was nominated for Best Original Song. She also appeared in Fox's Glee, as substitute teacher Holly Holliday, who fills in for Matthew Morrison's character when he falls ill. In her first episode, The Substitute, she sang Nowadays from the musical Chicago with Lea Michele, Cee Lo Green's Forget You, and a mash-up of Singin' In the Rain and Rihanna's Umbrella with Morrison and the rest of the cast. She later performed Forget You with Cee-Lo Green himself and several puppet characters provided by the Jim Henson Company at the 2011 Grammy Awards. She reprised her role twice more that season, performing Do You Wanna Touch Me (Oh Yeah) by Gary Glitter, an acoustic version of Landslide by Fleetwood Mac, Kiss by Prince, and Adele's Turning Tables. In 2011, Paltrow appeared in the Steven Soderbergh thriller Contagion, in which she was part of an ensemble cast, including Kate Winslet, Marion Cotillard and her The Talented Mr. Ripley co-stars Matt Damon and Jude Law. The movie opened at number 1 at the US Box Office Weekend and received positive reviews. In 2012 she stars in the independent romantic comedy Thanks for Sharing with Mark Ruffalo and reprised her role as Pepper Potts in the film The Avengers, which broke records as the highest grossing U.S. opening weekend film of all time. It was confirmed that Paltrow will star as Dora Maar in Carlos Saura's Spanish film 33 Días alongside Antonio Banderas as Pablo Picasso. The film begins shooting in late 2012, for a 2013 release. Paltrow is a Save the Children artist ambassador, raising awareness about World Pneumonia Day. She is on the board of the Robin Hood Foundation, a charitable organization that works to alleviate poverty in New York City. In February 2009, Paltrow received a Grammy nomination for her reading of the classic bear books of author Bill Martin, Jr. Paltrow had her singing debut in the 2000 film Duets, in which she performed a cover version of Smokey Robinson's Cruisin'. The song was released as a single and went to number one in Australia, while Paltrow's rendition of the Kim Carnes classic Bette Davis Eyes reached number three. In the 2006 film Infamous, she sang What Is This Thing Called Love. On September 27, 2006, Paltrow sang with rapper Jay-Z during his concert at Royal Albert Hall. She sang the chorus for Song Cry, from the rapper's album Blueprint. In an interview, she said she would be at the concert but not that she would perform. In October 2007, she signed for a PBS television series Spain - on the road Again with Mario Batali that showcases the food and culture of Spain. In September 2008, she launched a weekly lifestyle newsletter and blog, Goop, encouraging readers to 'nourish the inner aspect'. The website's title is derived from the initials of her first and last names. Each week, the newsletter focuses on an actions: Make, Go, Get, Do, Be, and See. It has been ridiculed by E-Online, Vanity Fair, The Independent, and the UK's Daily Mirror. But likely because they realize she has a large readership. 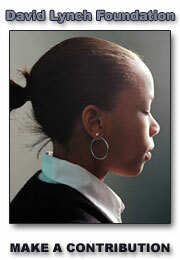 Other organizations Paltrow supports are the United Way program for the victims of the Newtown school shootings. The Edible Schoolyard that calls for a revolution in public education - the Delicious Revolution. Where the hearts and minds of children are captured by a school lunch curriculum, enriched with experience in the garden - sustainability becoming the lens through which children see the world. The David Lynch Foundation which provides transcendental meditation instruction to at-risk populations in the UK and around the world. Dedicated to helping people of all ages from all walks of life in the UK and worldwide overcome stress, suffering, and hardship, and unfold the full potential of life. And Pencils of Promise - a global movement of passionate individuals which are are committed to supporting a world with greater educational opportunity for all. With more than 61 million children without access to education there is a need for a generation empowered that will empower the world. One child - one pencil at a time. Information from Wikipedia and listed reference sources on their website. Copyrights for photo images of Gwyneth Paltrow are held by their respective photographers. If anyone feels that their use is in violation of individual copyright contact this website and they will be replaced or removed. 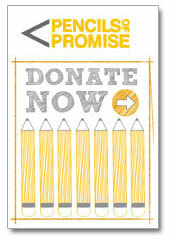 Pencils of Promise - a global movement of passionate individuals which are are committed to supporting a world with greater educational opportunity for all. With more than 61 million children without access to education there is a need for a generation empowered that will empower the world. One child - one pencil at a time. The Academy-Award winning actress and avid food enthusiast shares a deliciuous collection of recipes and beautiful photographs of preparing food - a passion she learned from her father. As an actress, author, trendsetter, creator of goop.com, and host of the popular PBS series, Spain: On the Road Again, Gwyneth Paltrow is an icon of style and good taste around the world. As a young girl eating and cooking with her father, Bruce Paltrow, she developed a passion for food that has shaped how she lives today and strengthened her belief that time with family is a priority. 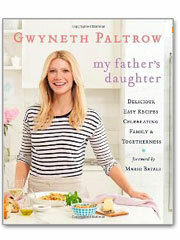 Now in My Father's Daughter, Paltrow shares her favorite family recipes along with personal stories of growing up with her father, Bruce Paltrow. 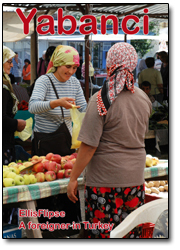 She discusses how he has influenced her in the food she loves, how she involves her kids in cooking, and how she balances healthy food with homemade treats. And, for the first time, Paltrow offers a glimpse into her life as daughter, mother and wife, sharing her thoughts on the importance of family and togetherness. The David Lynch Foundation which provides transcendental meditation instruction to at-risk populations in the UK and around the world. Dedicated to helping people of all ages from all walks of life in the UK and worldwide overcome stress, suffering, and hardship, and unfold the full potential of life.